We have in our store an exclusive range of Software Solutions for the clients. We offer software solutions, attendance software, visitor management software, canteen management software. Our software is designed and programmed by experienced software developer and programmers using advanced tools at vendor's end. This product is a perfect choice to be used in many domestic and official uses. 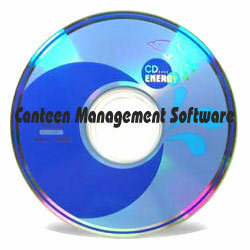 Variety of custom-designed software is also available as per the specific needs of the clients. Our Attendance Software is GUI based software that registers the attendance of employees. It has a leave management system. Some of the important features of this software are highlighted below. The flexible architecture of Attendance Software allows various people in the organization to directly access the data they need. Naturally, the attendance software Security System Permits authorized persons to have access to only the limited data to which they have been rights. Attendance Software is completely parametrized software that allows user to define the rules as per the organizational policies. Provision of advance shift scheduling required in factory environment. Punctuality checking based upon shift scheduling. Stringent checks for availing Compensatory Off. Provision of manual attendance to regularize missing swipes. Maintains employee leave status with respect to leave rules. regularization of employee attendance in case of delay. Attendance Software ensures that the user enters minimum amount of data for performance calculations and leave calculations. Excellent security features which the System Administrator can define the User rights. Interface with any Card Reader/Payroll/HRMS /ERP system. Note : The product prices Range from Rs 5000 to 150000 per piece. We are one of the accredited suppliers of a premium variety of Visitor Management Software. This visitor management software keeps a track record of every visitor and his/her duration of stay. We can also provide modified visitor management system for meeting the specific requirement of the clients. The features can also be added or removed, if needed by our valuable clients. Connected to webcam / digital camera for capturing visitors photograph. Visitor’s arrival advanced notification to security. Employee database is maintained at the security PC. Contractor master database is maintained for contract employee long period gate pass. Visitors detailed database including photograph is maintained. Storing of visitors photograph to print on the gate pass for future reference. Notification of visitors’ arrival on visitee’s, PC. We offer quality solution to our clients in the form of Canteen Management Software, which is widely used in many large or small scale canteens. This software effectively maintains the accounts of working employees, while maintaining an inventory of day-to-day operations of the canteen. It works on the card swipe system and provides complete information about cost of each employee. Note : The Procut price Range Vary from Rs 150000 to Rs 550000 Per Piece. Our organization offers to the clients a effective range of complete School Management Software. This software includes complete module for keeping the record of finance, transport, fee, inventory, library management, students, reception and many other menu. Custom-made school management software is also offered by us as per the clients' need.